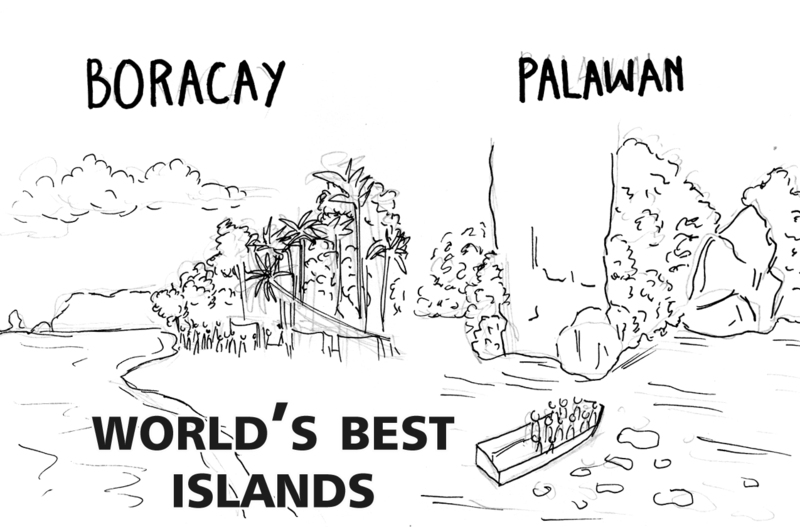 Once again three beautiful places in the Philippines were included in the list of top 20 islands in the world. These are Palawan, Boracay, and Cebu. The US travel magazine, Conde Nast Traveler, named Palawan as the world’s best island for the second straight year. Palawan, which is home to the famous Underground River, is known for being among the world’s best spots for snorkeling with its crystal blue waters. “Palawan’s natural wonder is one of the longest underground rivers in the world, traveling five miles through a subterranean cave system. Guided boat tours take visitors down a portion of the waterway, where karsts, natural rock formations created by dissolving limestone, loom in every direction,” according to the Magazine. In 1999, the United Nations Educational, Scientific and Cultural Organization (UNESCO) declared Palawan’s subterranean river a World Heritage Site. Although listed as the most densely populated island in the Philippines, Cebu is famous for its beaches. Boracay, on the other hand, is described as the island “with powdery white sand and shallow azure water ideal for swimming and snorkeling. This entry was posted in Dream Place, Places to visit, Tourists destination, Travel, Vacation spots and tagged Boracay Island, Cebu, Palawan, top 20 islands in the world 2016, world's best islands on October 25, 2016 by Yami. Hubby has been planning about this short vacation to Gensan since he went home for his father’s funeral last month. He was enthralled by the pristine beaches in Gensan. One particular beach resort that hubby and his siblings visited was playing some local instrumental music. He’s not sure whether it was eb horn that produces the good sound all he remembers was that the music was apt to the occasion. This entry was posted in Places to visit, Tourists destination, Travel, Vacation spots and tagged beach resort, General Santos City, pristine beach on September 10, 2016 by Yami.